Because most of these wars have not yet ended, and because lurid terrorism continues in many parts of the world, almost nobody has noticed a happy development that wafted in during the first quarter of 2016: The level of war violence has fallen markedly. The big event is the partial cease-fire in Syria, which has now lasted for six weeks. Fighting with ISIS and the Nusra Front continues, and violations recur, but much of the country is breathing a sigh of relief, and humanitarian access has expanded substantially. According to the Syrian Observatory for Human Rights, the rate of killing has dropped by nearly half since the cease-fire began. That means that around 2,000 lives were spared in the first month. Since Syria is by far the world’s largest war, this reduction takes a big bite out of the global rate of war deaths as well. In Ukraine, a cease-fire in effect since last year has been violated regularly, but at a small scale, far below the earlier levels of bloodshed. In South Sudan, the recent formation of a unity government brings hope, even if some fighting continues. In the Central African Republic, the civil war has ended and a presidential election was completed successfully. In Nigeria, Boko Haram has been driven from its main territories, though it continues to perpetrate smaller-scale attacks. In Pakistan, despite ongoing terrorism, the major fighting of a few years ago has abated. And a cease-fire in Yemen just took effect, with a prisoner exchange already accomplished and peace talks scheduled for the coming weeks. All of this progress is shaky and incomplete. Even longstanding cease-fires can break down, as we have recently seen in Mozambique and Azerbaijan. An apparent decrease in Iraqi deaths this year is too uncertain to celebrate, while the war in Afghanistan drags on with no signs of respite. 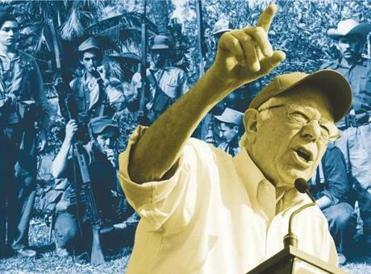 Bernie Sanders reminds us of the parlous consequences of past assaults on other countries. But, mercifully, as the major wars have died down, new ones have not sprung up in their place. Of special note is the continuing absence of wars between the world’s uniformed national armies. These forces exceed 20 million soldiers and are armed to the teeth. Yet the last sustained war between these armies was in 2003, in Iraq. Today’s skirmishes between countries, such as the recent Armenia-Azerbaijan flare-up, the Turkish downing of a Russian plane, and the incidents between North and South Korea, kill dozens of people rather than the hundreds of thousands, or millions, that died in the all-out wars that nation-states have fought throughout history, such as the Iran-Iraq and India-Pakistan wars. The geography of war is also shrinking. This year’s cease-fire between Colombia and the FARC guerrillas ended the last active political armed conflict in the Western Hemisphere. The Americas thus join Western Europe and East Asia as major regions of the globe that have moved from pervasive war to enduring peace. In fact, virtually all the war in the world is now confined to an arc stretching from Nigeria to Pakistan, which contains less than a sixth of the world’s population. We are hardly, as pessimists like to say, a “world at war.” Of course, the world continues to suffer from other forms of violence: terrorist bombings that kill dozens, drug gangs that kill thousands, and homicides that kill hundreds of thousands. But the latest inroads against a major category of violence — war — after five years in which it had lurched in the wrong direction, deserves our attention and gratitude. Today’s glimmers of hope might fade as fast as they emerged. But the recent cease-fires and peace talks are, as mathematicians like to say, an existence proof that the violence of war can be reduced. 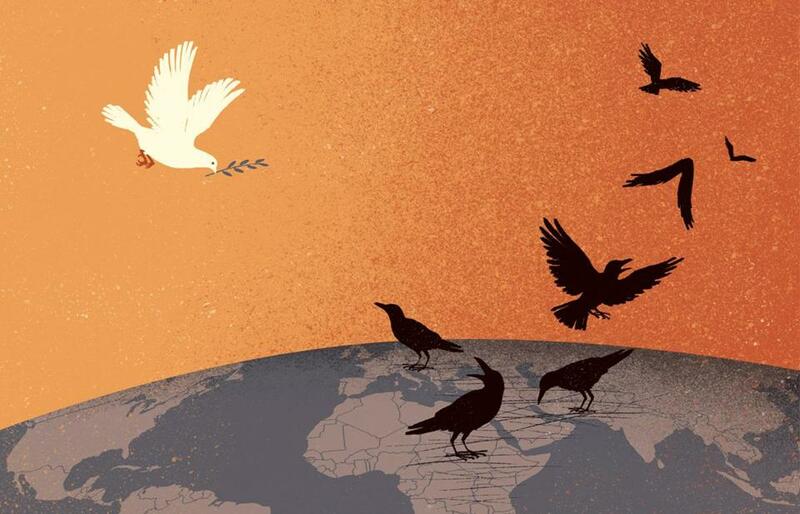 By redoubling our efforts to make them stick, the international community just might make 2016 the year when the war fever of the past half-decade finally breaks.